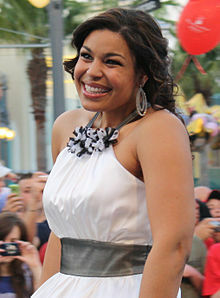 ^ 9.0 9.1 "Jordin Sparks worldwide chart positions and trajectories". aCharts.us. Retrieved December 22 2007. ^ All Billboard Charts 互联网档案馆的存檔，存档日期2007-12-08. ^ Top 50 Singles Chart - Australian Record Industry Association 互联网档案馆的存檔，存档日期2011-09-02. ^ look at 16.06.08 for the NZ certification of No Air 互联网档案馆的存檔，存档日期2009-02-15. ^ Torrid Model Search winner 互联网档案馆的存檔，存档日期2007-03-04.